BetTrader software by Racing Traders. 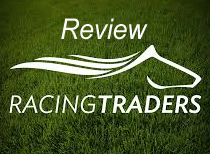 I recently began to undertake a rather substantial look at what Betfair trading software is “the best”. The short answer to this is that there isn’t one, however this behemoth of a topic did lead me to some rather interesting examples of software that I ultimately felt deserved a more detailed and thorough look. At the top of this list is BetTrader. There are a lot of different examples of Betfair trading software out there, but mostly I feel like you can apply the Henry Ford principle. You can have it in any colour you want, so long as it’s black. What I mean by this is that almost all of it looks and handles the same. You get a piece of downloadable software that mimics the Betfair exchange, but faster. Of course, there is more to it than this. I am grossly over simplifying things but sometimes you have to paint things as black and white to undersand just how much contrast there is. So what exactly makes BetTrader so special given the fact that there are so many different examples of trading software available? 2 What are the Main Selling Points of BetTrader? 3 What Are the Additional Features of BetTrader? 5 What are the Advantages of Using BetTrader Over Betfair’s Online Exchange? 6 What Else is Included? 7 So How Much Does BetTrader Cost? 8 So What Are the Pros and Cons of BetTrader? In order to look at BetTrader, you first have to look at their parent company, Racing Traders. The company was started by trader Adam Todd. Having moved to London from Manchester, he began working as a trader in the pits of the London International Financial Futures and Options Exchange. After quitting and travelling, he returned to the UK to discover the Betfair betting exchange. Starting with £200, he was able to make £100,000 in 3 years. Whilst this was ongoing, he also started Racing Traders and began work on BetTrader. Because the software has been built by a trader for traders and also developed over a period of time, it is a very complete offering that knows what people are looking for. This experience really shows through when you take the time to look at BetTrader. It is a remarkably lightweight and easy to use example of Betfair trading software. A big part of this is down to the way that the software works. I have touched upon the idea that almost all other examples of trading software works in almost the same way and there is something of an unfortunate truth to this. One of the key similarities is that all of the programmers behind these applications have chose to develop their own framework. BetTrader however is built upon opening in your internet browser, a rather neat approach that I have never seen before now. There does however appear to be something to it as I genuinely believe that BetTrader is amongst the fastest pieces of Betfair software currently on the market. As you would expect, BetTrader is able to trade on all markets that are currently available on the Betfair exchange. Whilst this may sound like something that doesn’t need to be said, I have looked at software before now that comes with a number of restrictions in terms of what you can and cannot bet on. Unlike a lot of Betfair trading software, BetTrader is fully compatible with both windows and Apple Mac. What are the Main Selling Points of BetTrader? The idea of there being a fastest piece of trading software on the market is a difficult one to quantify as there are various definitions of fastest and they can be applied to various metrics. For my money however, the speed of a piece of software is how quickly it is able to do what you would expect it to. In the case of a piece of trading software, I would expect it to update prices quickly. I would also expect it to be able to match my bets in the shortest possible timeframe. Not surprisingly, BetTrader delivers. The actual refresh rate on prices is set at 5 times per second. This is a number that initially seems intimidating however I found that after spending some time with the software, it was a very good number. Data flashes before your eyes at first however you soon settle down into a rhythm and block out some of the “white noise” of data. Once you achieve this, you are able to use these changes as a very good barometer for where the market is ultimately going. In updating prices as quickly as BetTrader does, for example, you can see odds moving prolifically in one direction or another. Compare this to some slower software and you can easily miss a big price surge. To further enhance the speed at which it operates, BetTrader is supplemented by the ladder interface that Racing Traders are famous for introducing. This shows a wide variety of different odds that are available for a given horse in a vertical “ladder” format. This means that at a glance, you can see what kind of odds are available as well where money is being wagered. This is essential if you are a trader. These two things are the main selling point of BetTrader however despite the focus on them so far, it would be remiss of me to ignore the many other features that are on offer. Not all of these features are unique to BetTrader however and are available on other versions of similar software, however they do exponentially improve the end user experience when it comes to actual trading and betting. 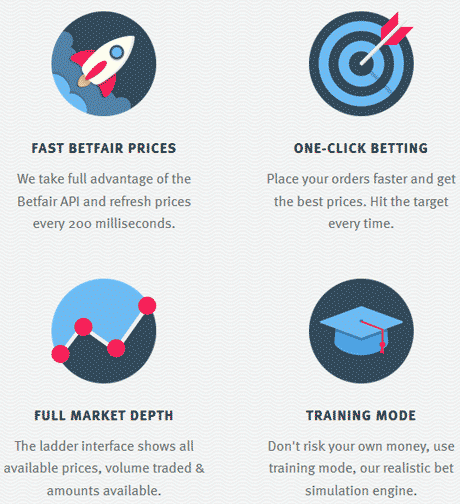 What Are the Additional Features of BetTrader? The features behind BetTrader are numerous and as such, I don’t wish to go into them in too much detail however I will talk about them here. What I have attempted to do however is to loosely group together the features. Sticking with the theme of speed and ease of trading from the two core selling points of BetTrader, the software comes with a number of “one-click” solutions. First of all there is One-Click trading. This is standard with a lot of Betfair software and allows you to configure BetTrader so that simply clicking will place a trade or bet at a pre assigned stake. These stakes can quickly be set by using a net stake button which simply makes a chosen value your next bet. Keeping on the one click theme, BetTrader has a rather impressive tool which allows you to hedge bets with just a single click of a button. The One-Click Hedge Button is able to divide any potential profit or loss by available back and laying prices. In doing this, BetTrader can ensure that you win or lose the same no matter who wins a race. One of the first things that one should be considering after the speed of a piece of trading software is how you are able to display data. This is something that is often overlooked with some examples of software that I have looked at, however it goes without saying that a trader needs to have access to data in order to make an informed decision. There are numerous ways of customising BetTrader, starting with the already mentioned ladder mode. You can also view a variety of different Betfair graphs to gain a visual representation of what markets are doing. Given the fact that BetTrader provides full and real time data on offered prices, last traded prices, and the volume figures it can be much easier to have this visual representation. Perhaps not surprisingly given the fact that BetTrader is ultimately a piece of software for trading on the Betfair exchange, there are a number of different tools that help with this. Some of these do a relatively straight forward job such as automatically placing a bet at a certain price and time to automatically cancelling bets if they are unmatched for a certain period of time. There are also some slightly more complex things that BetTrader can do such as allowing the software to automatically trade for you once you have made a certain number of ticks profit to breaking bets up into smaller amounts to get a larger bet matched. BetTrader also comes with some advanced features that you would likely expect such as a stop loss tool which allows you to set up BetTrader to trade when the markets are going a certain way. All available to Lay and Back prices on all Betfair markets are streamed live through BetTrader. Viewing up to date information helps you to make the right decision at the right time. The last traded price is the last price that a bet was matched at. Being able to see if an offer is trading or not is invaluable information for any trader. BetTrader shows the total amount of money that has been matched on each selection and the the total amount matched at each price. Also BetTrader displays live matched amounts. Knowing whether an offer was pulled or was matched in total helps you make more informed decisions based on a better understanding of what is happening. Live Graphs display the last-traded price and volume figures in visual form to give you a live graphical view of the market. Graphs are a useful tool for visualing how a market is moving. Divides your potential profit or loss on a selection by the available to Lay or Back price and Lays or Backs that amount to ensure you win or lose the same no matter who wins. Traders can lock in their profits and set their maximum losses without having to hope that the selection on which the trade was done wins or not. This stake button displays your net position on each selection. Selecting the Net-stake button makes that value the stake size for your next bet submission. Allows you to act fast and effectively in fast moving markets when you have been part filled and need to submit an irregular stake size quickly. On the Ladder interface prices are displayed vertically in ascending order and available to Lay and Back amounts are displayed to the left and right of their price. Facilitates one-click bet submission at any price, Back or Lay. Also makes the market easier to visualise by showing the Lay and Back amounts moving up and down on the ladder. Keeps the last-traded price of each selection displayed in the middle of the ladder display. Allows you to view prices in a ladder format without needing to manually follow the price to keep it in view. Counts down the scheduled start time of every Betfair market. When the market is suspended and goes in play the Stopwatch starts to time the event.The count down tells traders when it is time to square their books as the race is about to start. The stopwatch gives a better understanding of in-play prices. What are the Advantages of Using BetTrader Over Betfair’s Online Exchange? The key thing that makes BetTrader substantially better than using the normal exchange is the speed at which you can do things. Where the Betfair Exchange updates itself at intervals of anywhere from 1-15 seconds, BetTrader refreshes data every 200 milliseconds or 5 times per second. This means that as a trader, you are constantly privy to the best and latest prices. Whilst I have been trialling BetTrader and playing about with the software, it is incredible just how much of a difference this speed actually makes. Of course seeing the available odds updating at such a quick speed doesn’t count for anything if you can’t get bets placed. Fortunately, with one click betting activated, I had no trouble getting bets matched through BetTrader. As well as the software itself, the Racing Traders team have included a very substantial customer support section of their website. This includes a full user manual as well as the ability to contact the support team. There is more on offer here however with Racing Traders also offering a number of training videos which range from setting the software up to comprehensive betting strategies. There are also webinars that are hosted by the BetTrader team. These allow you to trade along with an experienced betting professional using BetTrader, in real time. If you prefer, there are also live presentations where you can draw upon the experience of a tutor in real life. It is worth pointing out that the webinars and seminars are definitely aimed at a more advanced user who wishes to take their betting to the next level. These seminars are however priced independently of BetTrader and at £399, they aren’t cheap. Personally however, I find this to be a rather reassuring thing. There are plenty of people involved in the Betfair trading industry from start to finish and few of them are so willing to put their reputation on the line. So How Much Does BetTrader Cost? I feel that it is important to highlight the fact that your first week of using BetTrader doesn’t cost anything. This trial period is more than substantial enough to give you a good idea of what to expect. Once this period has elapsed, there are technically three options available. The first is to use BetTrader in a “free” mode however this is massively restricted and isn’t really any better than the vanilla Betfair betting exchange. Alternatively, you can pay for a full license for BetTrader with both monthly and annual options available. There is no difference in content between the two, the only thing that alters is the price. If you pay for BetTrader on a monthly basis, you can expect to pay £9.99 per month. If you choose to pay for BetTrader annually, the cost is £99 which is a larger outlay, however this does equate to two free months when compared with the monthly option. Unfortunately, there is no money back guarantee available for BetTrader. So What Are the Pros and Cons of BetTrader? Weighing up the pros and cons of BetTrader is a rather difficult job as on the surface of things, there aren’t that many pros. It is only when you really start to breakdown the weight of these that you can see the full picture. The biggest pro when it comes to BetTrader is without a doubt the speed that the software runs at. Compared to the Betfair exchange it is mind bogglingly quick and even when laid next to other Betfair software, it still performs very well. Unfortunately, when put next to other Betfair trading software, this is where the advantage for BetTrader falls down somewhat. Whilst they may have been the first to implement the ladder trading interface, it has become common place now. Admittedly, I don’t think that anybody necessarily does it better than BetTrader, but they still have the general layout. The cons for BetTrader are generally almost petty sounding, however you have to keep in mind that there area lot of other pieces of software available and they can do a lot more. A big part of this seems to be down to the fact that BetTrader is browser based. Whilst other Betfair software creators can implement changes to their programme at will, anything that BetTrader does has to be possible within the confines of an internet browser. I also feel that whilst there are a number of tools that BetTrader comes with, these are all available in some form or another through almost all other software. 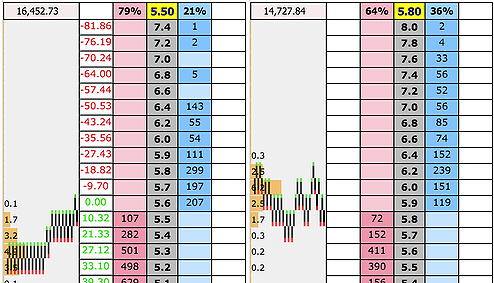 Furthermore, I can think of several examples of other Betfair trading software that can do a lot more as well. BetTrader isn’t even so inexpensive as to be considered a bargain. At £9.99 per month, it sits pretty firmly in the middle in terms of cost of software. I genuinely feel that BetTrader is one of the better pieces of software one the market when it comes to Betfair trading, however this is heavily conditioned. First and foremost, almost everything that makes the software good relates to how quick it is. If you want fast, then BetTrader is probably the best option on the market. Unfortunately, in some respects, it feels like a bit of a one trick pony in this regard. I would even go as far as to say that BetTrader becomes decidedly average if you factor out the speed. The problem when comparing and contrasting Betfair software is that they all have to work within certain confines and rules in the form of Betfair’s API. This means that in broad strokes, they are all more or less alike. Don’t get me wrong, each feels very different and some are much easier to use than others but the general gist is “the same as the exchange, but better and faster”. As I have said, BetTrader is the fastest of these in my opinion. This really is the be all and end all for a lot of traders as the speed of the software is imperative to taking advantage of small price movements. This is something that creator Adam Todd will no doubt have known all about having focused on the scalping trading method in his trading days. Personally, I am a fan of BetTrader. Yes, the user interface feels a little clunky and I admit that it can’t do as much as some of the software on the market but it doesn’t need to. The whole principle behind BetTrader is to identify what it needs to do and to do it very well. Those who want to find something that can be customised a million different ways and fine tuned will likely want to look elsewhere, but there are plenty of people who are looking for the most idealised version of a piece of trading software that they can get. For those people, I think that BetTrader delivers in droves. It is interesting that despite being such a revolutionary piece of software, the name BetTrader has rather fallen to they wayside however I would strongly recommend giving it the old college try, especially if you already use a different piece of software. I would hope that you can instantly see my point. BetTrader definitely isn’t for everybody. I am well aware of this and yet despite it, I found using it a pleasure, once I’d gotten to grips with the user interface. The fact is that I could probably pick BetTrader apart and end up rating it a much lower score simply for the things that it misses out on. Really though, BetTrader has one trick up its sleeve and it does this magnificently and even after a few weeks, I still find myself impressed. We have recently been informed that the free trial for BetTrader is actually 14 days, and not the 7 days advertised on the website, which is obviously more of an incentive to give this software a try. There is also an Apple Mac version of the software available for those who do not use Windows computers, which is also a bonus, as some Betfair software from other vendors require a VPS to be used for their software to be installed, BetTrader have their own version.